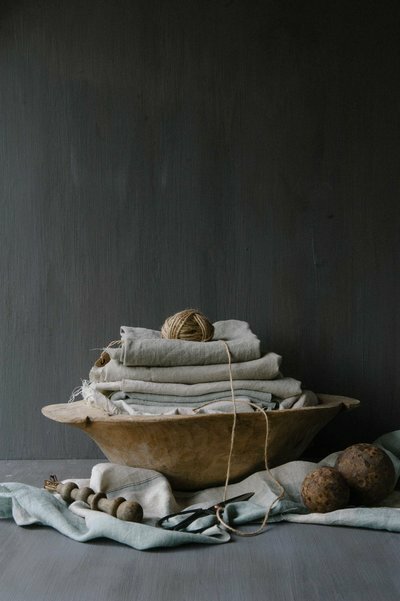 'Arte di Vita Natural Fabrics' is a carefully curated collection of natural fabrics. 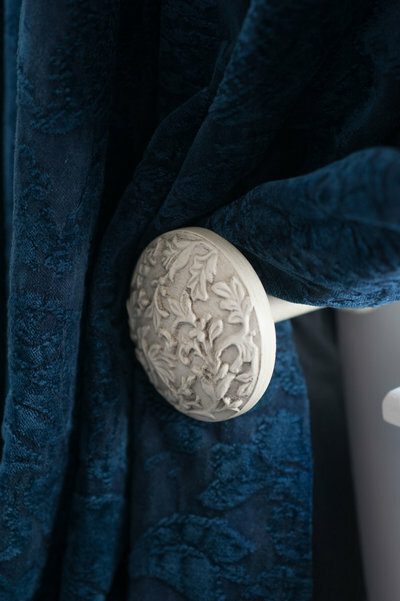 Our founder and interior designer has selected these fabrics based on their origin. She is essentially a colorist. Her distinctive view on colours enabled her to create a collection of paint colours and fabrics in matching colours with which to create harmonious interiors. All of the fabrics, mostly linen and hemp or a combination of the two, have been produced in an ecological, sustainable way in European mills, part of the 'Masters of Linen' association. Linen is a textile woven from the fibres of the flax plant which doesn't require irrigation and is good for the soil. Hemp originates from the cannabis sativa plant. It is spun into fibres and woven into a wonderful textile with many useful features such as heat regulation. Because a computer screen can't offer an exact representation of the colour and texture of the fabrics, we highly recommend ordering sample fabric swatches (maximum of 5) free of charge. Linen is antibacterial, non-allergenic, moisture- and heat-regulating meaning that it stays dry longer and feels warm in Winter but cool in Summer. Linen is also extremely durable. It used to be passed down from generation to generation as it only gets better (more flexible and supple) with age. Apart from these advantages, linen is also 100 % ecological. 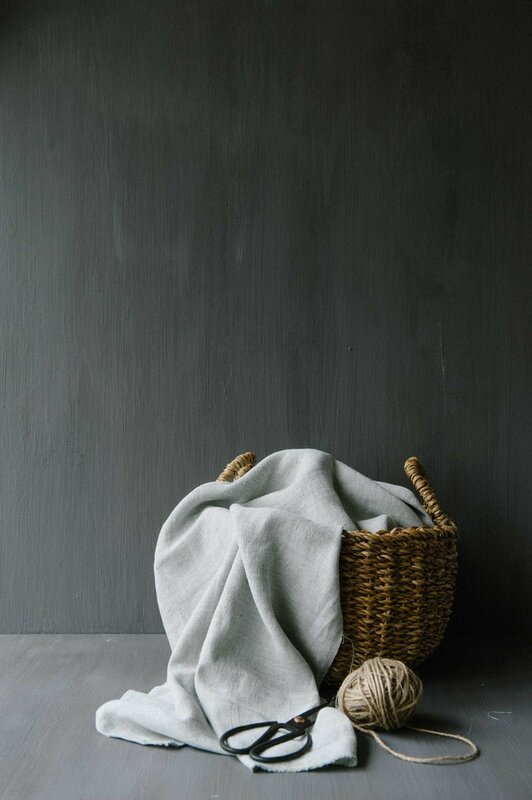 Linen is woven from ‘flax’ which is a 100 % vegetal and vegan fibre that doesn’t require irrigation (rain water is enough!) nor synthetic products such as fertilizers, herbicides or fungicides. One hectare of flax retains 3,7 tons of CO2. Flax respects the environment and preserves the land. Flax seeds are planted between the 15th of March and the 15th of April and take 100 days to grow to 1 meter at which point the crop flowers (which lasts only a few hours). The crop is not reaped but pulled up and then placed in swathes of cloth. This takes place in July. In August the transformation process from plant to fibre takes place with the help of sun, dew and rain; the fibrous skin is detached from the central wood. The second phase requires mechanical separation, involving a process called ‘scutching’ followed by combing and finally, spinning in order to transform the fibre into yarn. The yarn is then woven or knitted. Our fabrics, European linen and hemp, are made by producers in Belgium, France and Spain with respect for the environment. The producers, mostly 4th generational family owned weaving mills, are recognized by the ‘Masters of Linen’. Hemp is a biodegradable plant that doesn’t require irrigation or phytosanitary treatments. It’s organically sourced, renewable and zero-waste (all by-products can be used). It has invaluable natural qualities; heat-regulating, anti-bacterial, antifungal and insect repellent. Organic growers love hemp because it leaves a weed-free soil at the end of each season. The tow (external cellulose fibre) is separated from the shive (the central, soft part of the stem) by mechanical defibering, a process that uses little energy and no chemical treatments thanks to high-performance industrial equipment and technical know-how. Hemp is recognized throughout the world for its environmental qualities.